A video, anyone should watch! France’s finance minister sends tremors through European capitals with a defiant warning that his country would no longer try to meet deficit targets. Yields on 10-year German Bunds fell below 1pc for the first time in history, beneath levels seen during the most extreme episodes of deflation in the 19th century. French yields also touch record lows. Much of the eurozone is replicating the pattern seen in Japan as it slid into a deflation trap in the late 1990s. It is unclear whether tumbling yields are primarily a warning signal of stagnation ahead or a bet by investors that the European Central Bank will soon be forced to launch quantitative easing, buying government bonds across the board. “What is absolutely necessary is to adjust the pace of deficit reduction to the exceptional situation we are in today. Growth is too weak in Europe and inflation is too low. We must therefore stop reinforcing the causes of this depression,” he told RTL television. He halved his French growth forecast to 0.5pc this year and to little more than 1pc next year, too weak to stop unemployment hitting fresh highs. The IMF has already warned that there will be no job growth until 2016. 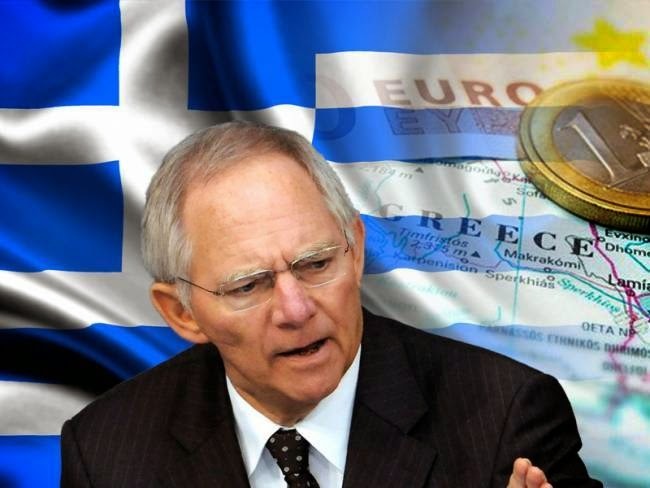 "In Greece people die and the party of Schäuble calls itself Christian"
The effectiveness of austerity programs and the role of the troika in Greece are being questioned by an analysis in the webpage of the German television network RTL. As columnist says: "Greece is considered as the European patient; the German popular press likes to outline Greeks as lazy people who are left to be saved by the money of German taxpayers, saying that while Greeks are not paying their taxes, are buying property in Berlin. Of course: The Greek elites contributed with their mindset to create this image. However, a look at the current data of the economy and at the state of 'normal' Greek shows that the imposed austerity by the Troika is a disaster for the citizens." The columnist criticizes an earlier statement of the German Finance Minister, Wolfgang Schaeuble, who had stressed that there is no other excuse for "not to take unpleasant decisions that have to be taken." As the columnist comments: "One thing is clear: In Greece people die because they no longer have money to visit the doctor. And the party of Schäuble calls itself 'Christian'." 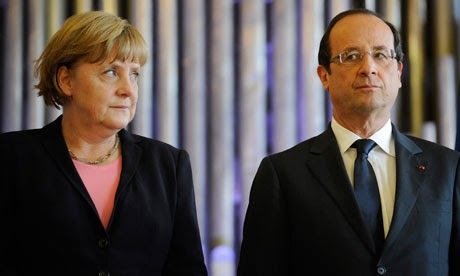 "The troika is simply a tool for the complete liberalization of the economy. There is no room for sentiment for the people." The columnist believes that any continuation of harsh austerity measures would be fatal for the country and emphasizes: "As Germany imposed during the crisis between 2008 and 2010 a program to stimulate economic activity, Greece now needs an investment program to maintain and modernize its public infrastructure."